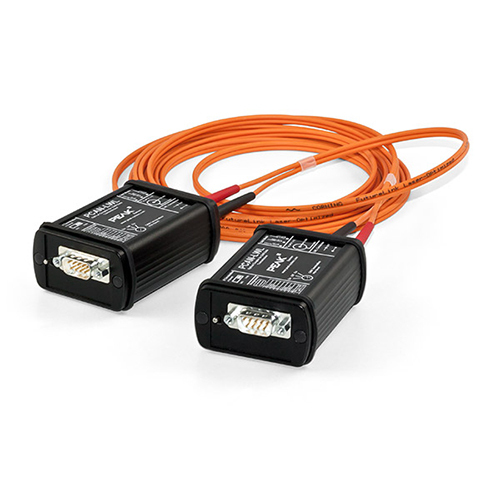 For use in explosion-proof areas or for EMC measurements, the PCAN-LWL can be used to replace a stretch of CAN network with a fiber-optic line at any point. There are the options of conversion to High-speed CAN or Low-speed CAN. The modules are supplied with power externally. The PCAN-LWL can be used in CAN FD busses with data bit rates up to 5 Mbit/s and nominal bit rates up to 500 kbit/s.